By now I've seen the world end a thousand times in movies and TV. Whether a comet, a zombie plague, vindictive machines, or a particularly virulent strain of hay fever, the end of our world is a favorite subject for horror creators. 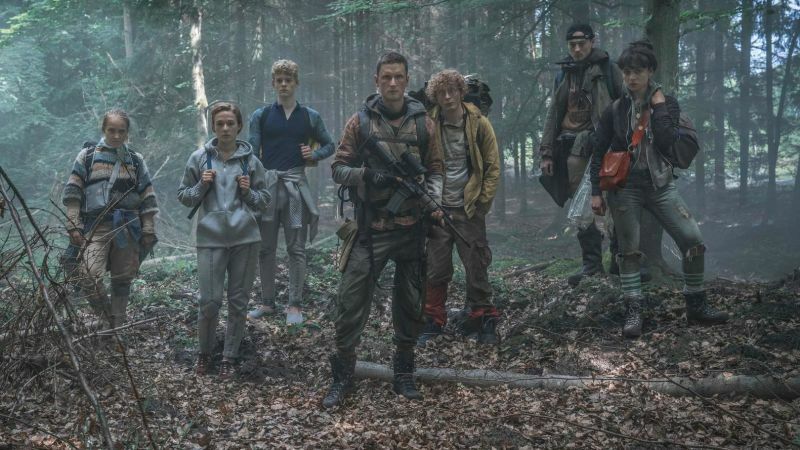 In the upcoming Danish production The Rain, a contamination in the water brings about the end, and the survivors are left to scavenge for supplies in a decimated landscape. Into this bleak future comes a pair of teenagers who escaped the original plague in an underground bunker and may in fact hold the survival of the human race in their hands.